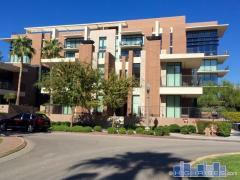 Blog with news about the Phoenix AZ high-rise condominium and loft market. Monday, June 12th, 2017 at 12:22pm. Monday, November 7th, 2016 at 11:18am. This is it. This is the High Rise Condo you have been waiting for and its finally on the market! This Luxurious 19th Floor-South Facing Unit has been updated and upgraded, so all you need to do, is bring your belongings. From the moment you enter the building (the front desk will ''buzz you in'' this is a 24/7 Guarded Entry building), you are going to be impressed. A smile will greet you from the front desk in the Lobby, 24/7 Concierge Service at your beckon call. Monday, September 12th, 2016 at 10:34am.